Who remember the time Han Solo and some Clone Troopers team up with Jack Sparrow, Cobra Commander, Snowjob, & Cyborg with it's be your onw the easy price of $6, well that better than the $11,699.00 Mario Kart Arcade from our friend, @Yee. 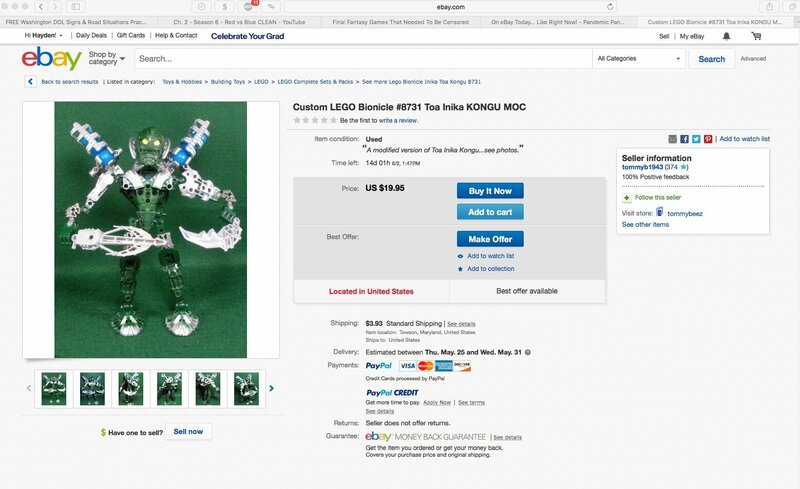 Ever been interested in owning your own Bionicle store banner? Well then, this fellow Russian seller got you covered! Who would ever pay that price? Well, that's it. I've officially lost faith in humanity. I think there's a deeper message behind it. Maybe the pillows represent the current state of the brain cells of the person who decides to buy those. No amount of free shipping is worth that. Or maybe it represents how much money you're going to **** away buying these stupid things. Item: BIONICLE 6944 GOOD GUY '07, PROMOTIONAL ITEM FOR DISNEY. Complete assembly. Assembled from used spare parts. 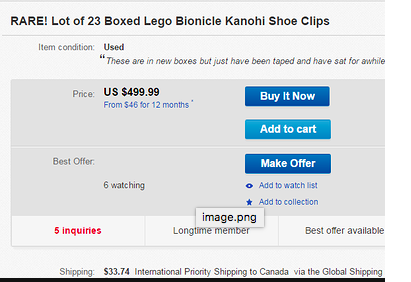 SEE MY OTHER BIONICLE SALES. | eBay! Item: BIONICLE 7116 STARS TAHU. With the gold Hau as shown. No container and no instructions. | eBay! 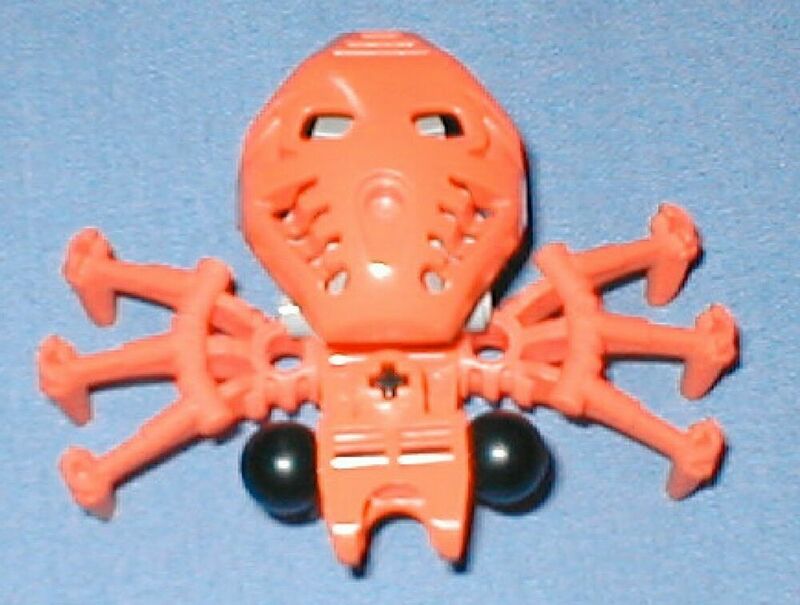 P>Item: BIONICLE 1441 FIKOU, A TREE SPIDER. THE ORIGINAL, WITH ORANGE BODY (A PAKARI MASK). Fikou were tree spiders that nested in cables, tunnels, and vines. They could spin intricate webs and would jump out suddenly, surprising their prey. | eBay! Item: BIONICLE 7217 BRACA. A Duracel Promotion from 2006. Assembled from used spare parts. Some of the flat end connectors may have cracks at the mold line. If the tension is good they are usable. | eBay! Looks like Mutran failed because a piece escaped! 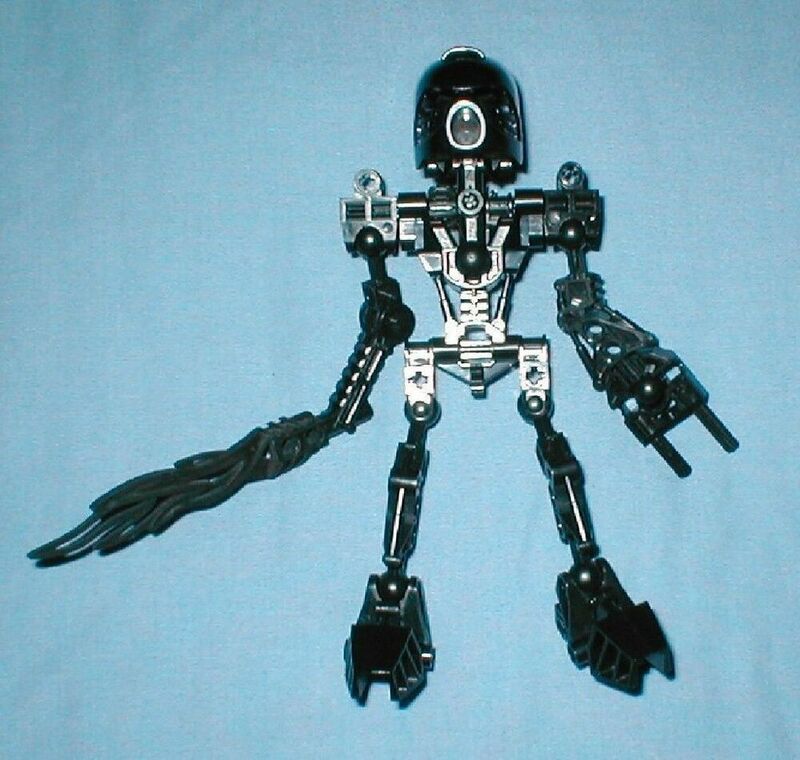 Item: BIONICLE 8725 BALTA TA-MATORAN WITH TWIN REPELLERS. | eBay! Item: BIONICLE 8945 SOLEK MATORAN. Has been assembled, used, played with. No container and no instructions. | eBay! Item: BIONICLE #8534 TAHU ALL BLACK PARTS (EXCEPT THE EYEPIECE WHICH IS RED). 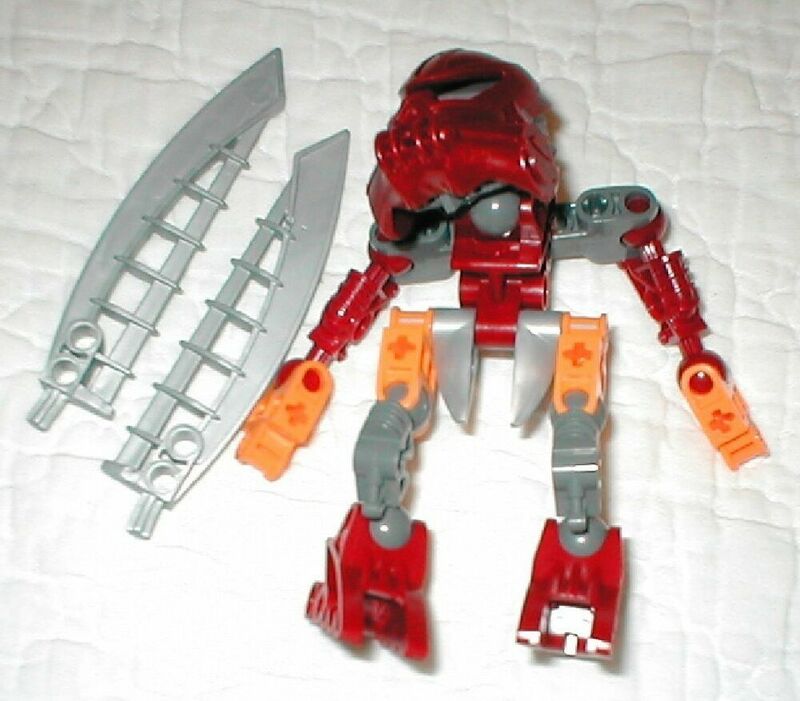 The original Tahu with red and orange parts is one of the first Bionicles. This "All Black" has the correct parts that match the original except in color. | eBay! LEGO Black Specialty Plates 47398 54383 54384 41770 47397 4SET 76023 10213 5974 90194 6564 51739 41769 3x12 Right Left Airplane Wing death star star wars lego 10188 metalbeards sea co w the lego movie 70810. | eBay! so many pieces! and so many listings I've done Why? SOUVENIR UK - SCOTLAND MAGNET UNITED KINGDOM I LOVE BONKLE (LANARKSHIRE) | eBay! Or desperation, depending on interpretation. It still doesn't change the fact that Pohatu's knife originally belonged to Guurahk, tho. I have literally no idea what you're talking about. I am very confused right now.